After one year and three months, SBS’s 9pm slot for dramas on Monday and Tuesdays will be abolished. SBS is currently airing “Dr. Champ” in the 9pm Monday-Tuesday slot, and following the steps of other broadcasting stations, it will abolish the slot next Spring. TVXQ’s Magnae, Changmin will soon have his acting debut. The stage that was built for his debut, is [Paradise Meadow]. As the exact date for the show’s debut is not being confirmed, the teasers and contents of the show are not released, causing fans to panic whilst waiting. The production team predicts the show to be released within the year. Instead of an appropriate opening, why not keep the ‘secretive feel’ and anticipate the show to debut. 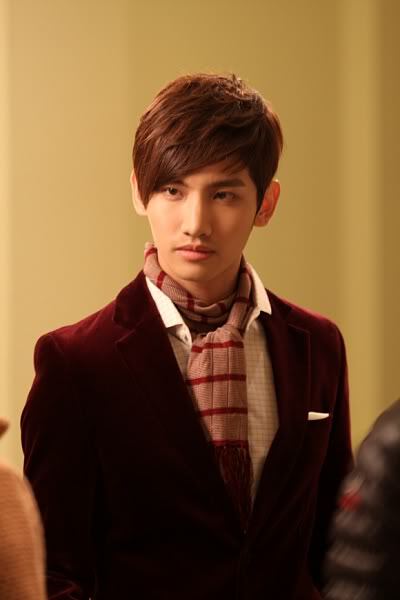 In the drama, Changmin married the female lead, Lee Yeon Hee despite his family’s protests, portraying a scene of a romantic prince. Due to this, with the addition of Changmin’s prince character, his love story with Lee Yeon Hee is most anticipated. As all shooting for the drama have stepped into pre production, Changmin, who have completed Kohaku Uta Gassen Music Festival, have already headed to Australia for part of his drama shoot. Currently he is shooting [Paradise Meadow] in Jeju island with Lee Yeon Hee and Joo Sang Woo. [Paradise Meadow] is written by Jang Hyun Joo,who wrote [Coffee Prince No. 1 Shop], together with Seo Hee Jin, Directed by Kim Chul Kyu, who directed [Hwang Jini]. 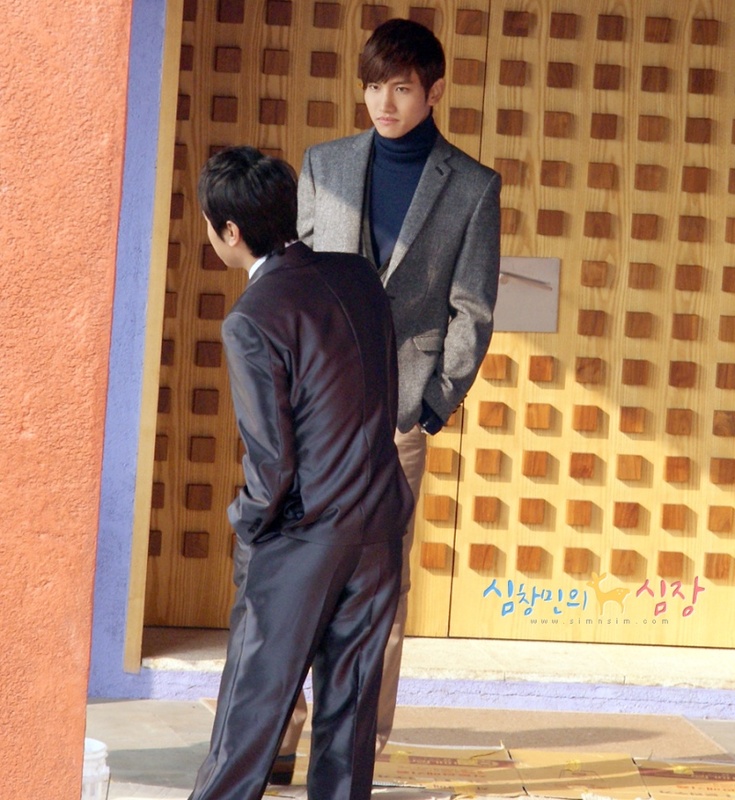 With Changmin as the lead actor, and the three of them working strongly together, this drama is very anticipated. The production side said ” A happy and vibrant story with beautiful music mixed, it is really a drama that is worth anticipated.” Romantic scenes with special settings, with the addition of a new concept, [Paradise Meadow], it will definitely worth everyone’s expectations. Although it is not TVXQ’s group activities, the 5 of them are still working hard with the fans’ care and concern. Following, Yoochun will start his activities as an actor in both Korea and Japan in June. The Korea side have already confirm his casting in [SungKyunKwan Scandal]. Though this is a lonely period of time for fans, we can still see them grow slowly. This is the only thing that we can do. Main actress of the soon-to-be-released television drama “Paradise Meadow”, Lee Yeon Hee (22), has not only been mentoring same aged co-star, TVXQ member Choikang Changmin, in terms of acting, but also in film-television terminology, among others. [INFO] Lee Yeon Hee (Paradise Meadow), “Long Time No See!” Drama Shooting Recent Developments Publicized. from the pre-production drama “Paradise Ranch” set. the 22nd of “Paradise Meadow” shooting look and resting pictures. 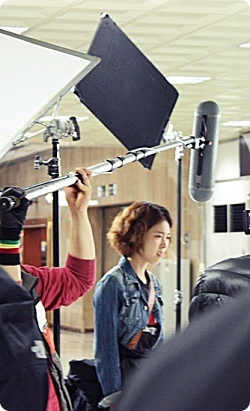 This time unveiling Lee Yeon-hee with short bob in the pictures, give people a cute and sporty image. Lee Yeon-hee pictures have netizens remarked, “really cute”, “face is really small!”, “hope the drama goes well”, ect..left comments such as those. Projected its first airing in April, “Paradise Meadow” is co-produced by SAMHWA Networks and SM Entertainment, sets on the beautiful backdrop of Jeju Island, the youthful melodrama depicting various forms of young people work and love. Broadcasting station unconfirmed. Asides Lee Yeon-hee, there are also DBSK Choikang Changmin, actor Joo Sang-wook, Yoo Ha-na, Im Soo-hyang, and Yoon Ji-min participating in “Paradise Meadow”.